Visit France early in 2015 and you can take advantage of the off season, have a great holiday and remain within your budget. There’s still plenty to see and do but it’s best to plan ahead so you can be there for carnival season when towns and cities that seem asleep for the winter months explode in to colour and celebration for the onset of spring. There may be a bite in the air but that’s what keeps costs down and the queues short. As spring and summer approach there will be a lot more holiday makers about which might lessen that personal touch that you can only really get with a winter trip. Take a P&O Ferry from Dover to Calais this February and you’ll be able to make it in time for the Mardi Gras festivities. 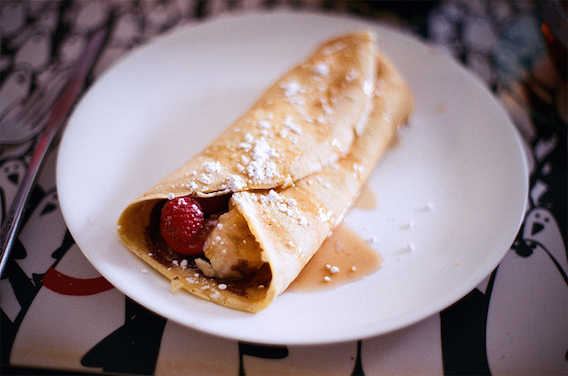 In England we mostly just call it Shrove Tuesday, eat a pancake and then go on with our lives – there’s so much more to it across the Channel. As there is a strong Roman Catholic tradition in France the observance of religious traditions still has a firm foothold. Historically the 40 day fast meant a denial of all meat and dairy products, in a time when it wasn’t easy to store meat, which was expensive at the time, the approach of Lent meant an occasion to clear out the larder with a feast. Perishable dairy goods were mixed to make crêpes and in lieu of the forty day fast citizens would make the most of eating what they wanted while they could. Mardi Gras festivities are famous in the United States but the tradition of partying in the run up to Lent has its roots in France. The major centres to visit are in Dunkirk, Cholet, Nantes, Cherbourg and Mulhouse to name just a few but the most famous is in Nice where the first carnival was held. Time is running out to book a P&O Ferry and be at the heart of it all for Mardi Gras on February 17th 2015! Perhaps you’re taken with the carnival spirit but need a little more time to get your affairs in order? The famous Dunkirk Festival spans months from January to late March, so you’ll have plenty of time to get there. This carnival has its origins in the the 18th century, when fishing crews would go out on long dangerous expeditions northwards in search of cod. So naturally the days before departure were filled with much merrymaking and the tradition still holds. As a tourist you might be a bit overwhelmed by the strong spirit of the occasion; those of you who don’t speak French might not get the finer points of the songs but we’re certain the atmosphere itself will have you grinning from ear to ear. The premise of the festival is parading bands of fishermen confronting each other with song, garbed in outrageously insane regalia. The fishing bands compete against each other in various games and sports to win the approval of onlookers. These bouts last the length of the parade, about 5 hours from 3PM to 8PM. The crowd is rewarded as they follow the parade where hundreds of kilos of kippers are thrown from the belfry of the town hall. By all means to try to make sense of it – but it’s more important that you enjoy it. 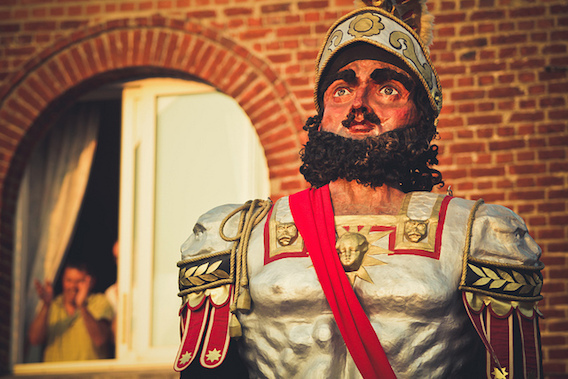 For your Easter Break there is yet another festival for you to attend, France celebrates Mardi Gras at the beginning of Lent but the small northern town of Cassel marks the breaking of fast (Easter Monday) with their very own special celebrations. The festival at Cassel draws a crowd of around 10,000 people, it’s the last major event of the Flemish festival season so there’s a great ‘last chance’ atmosphere. Everyone is quick to laugh, there’s plenty to drink and to top it off costumed pageantry is the name of the game. The key figure of the festivities is called Father Reuze a character designed by a local artist Ambroise Bafcop in 1827. He is a giant figure of a man dressed as a Roman legionary, who is head of the ‘Reuze family’ along with Mother Reuse and the four sons. A band of flutes and bagpipes kick up a cacophony of rhythmic tunes to which the family of statues leads the town of Cassel in dance. At the end of the night to the crowds dismay the family Reuze is carried back to the the Flanders museum to rest up for another year. If you wish to witness the Cassel Carnival then take a P&O Ferry to Calais and Cassel is just a short drive onwards. Sometimes, dancing frenetically in a costumed crowd late at night in a modest sized village in the north of France just isn’t what you’re looking for in a holiday. If this is the case then do not despair. Events such as the International Kite Festival at Berck-sur-Mer and the Orchid exhibits at the Cistercian vaults of Vaucelles will undoubtedly be of interest. 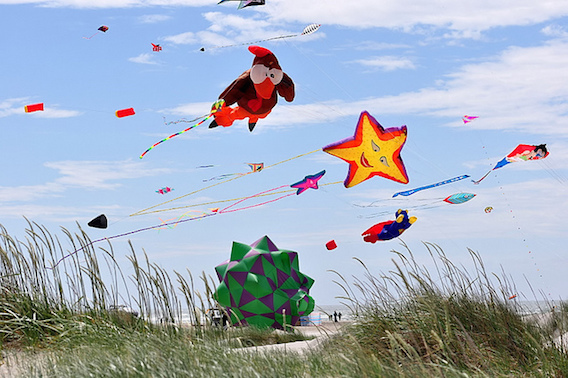 This April, hopefully on the most blustery day of the year, Berck-sur-Mer hosts one of the largest kite flying festivals in the world. Over half a million attendees look up in wonder as the very best kite fliers mankind have to offer do battle in the air exhibiting their prowess. Teams of professional kite fliers from across the globe will display choreographed shows for the onlookers. It’s not just slick competition though there’s plenty of novelty kites and most people attend for the sheer joy of getting to pilot their own kite amongst all the others. The Vaults of Vaucelles near Cambrai has been the home of one of the major European orchid festivals since 1900. Though this event draws many of that curious breed ‘the orchid afficianado’ anybody with the slightest interest in horticulture can easily succumb to the charms of orchids. What makes this event so remarkable is that the orchids are notoriously fussy plants and yet they grow quite comfortably in the bowels of an old Cistercian abbey. The display is open from 15th-19th March, going to see these exotic flowers will keep your mind on the tropics those summer holidays are still a long way off. Take P&O Ferries Dover to Calais service running multiple times a day for your holiday to France this spring!